I am so excited to finally be kick-starting a new series on my blog – Lifestyle Photography. This series will be a collection of lifestyle photoshoots, including: maternity (or bump) shoots, newborn shoots and family shoots. Why? Because I love photography and I love the informality and honesty of a lifestyle photoshoot. I like looking at ordinary people, living their lives and capturing special memories on camera. I hope you do too. Seriously, how ridiculously photogenic are this couple? We met 15 years ago at the University of Surrey as undergraduates. Blair was the first person I met all those years ago as I was moving into the halls of residence. He was a true gent as he helped open the doors and carried in my bags for me. How many months pregnant are you in these photos? We were about 7 and a half months along. How were you feeling about your pregnancy at the time? 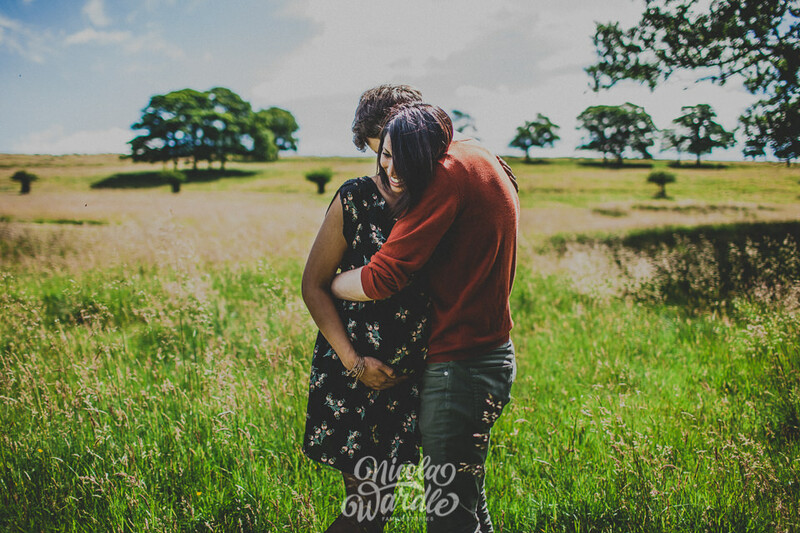 We were totally over the moon to be pregnant. Especially as it was a long time in the making. Even though we were lucky the pregnancy went pretty smoothly, we were generally too nervous to enjoy it fully. Why did you decide to have a lifestyle photo shoot? The whole experience was amazing, it’s tough to choose a favourite part. We were lucky it was a beautiful, hot summers day. I liked that the session was totally relaxed and Nicola has this way about her that puts you at ease and you kind of forget you’re even on a photo shoot. You don’t notice her taking photos half the time. It just felt like we were on a walk through the park with a friend and your partner and then stopping every now and again. Why did you choose Nicola? What drew you to her photography? I loved the way she is able to capture quite ordinary moments and then with the right lighting and setting is able to make it look effortlessly extraordinary. Which is your favourite shot and why? For me it was the shots in the long grass, even though at the time I was scared of the creepy-crawlies. When I look back at the pictures I feel all Mother Earth and organic. The colours just seem to pop. With the sky being so blue and the grass so yellow. The angle of the shot makes my bump really stand out. I really can’t thank Nicola enough for all the work she put into the photographs she took and delivered. Thank you so much Parvinder and Blair for letting me share these special photos and this incredibly wonderful time in your life. I completely echo what you say about the pregnancy going so quickly and I’m so glad we documented our pregnancy too, as you do forget it! You both look fantastic and so incredibly happy, it’s a pleasure to see. Keep your eyes peeled, as I’ll be sharing Parvinder & Blair’s newborn photoshoot too very soon…double eek! If you want to take a look at our personal lifestyle family photoshoot, then you can here. 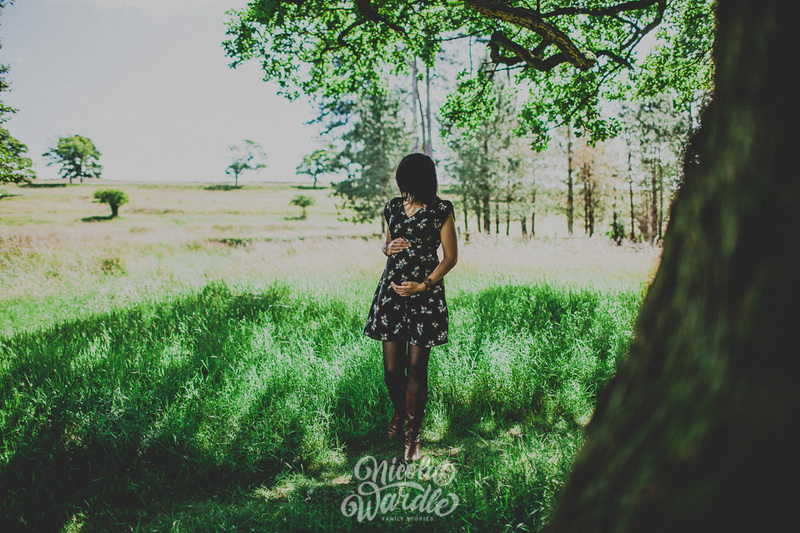 Have you considered a lifestyle maternity photoshoot? Do you document your family on camera?